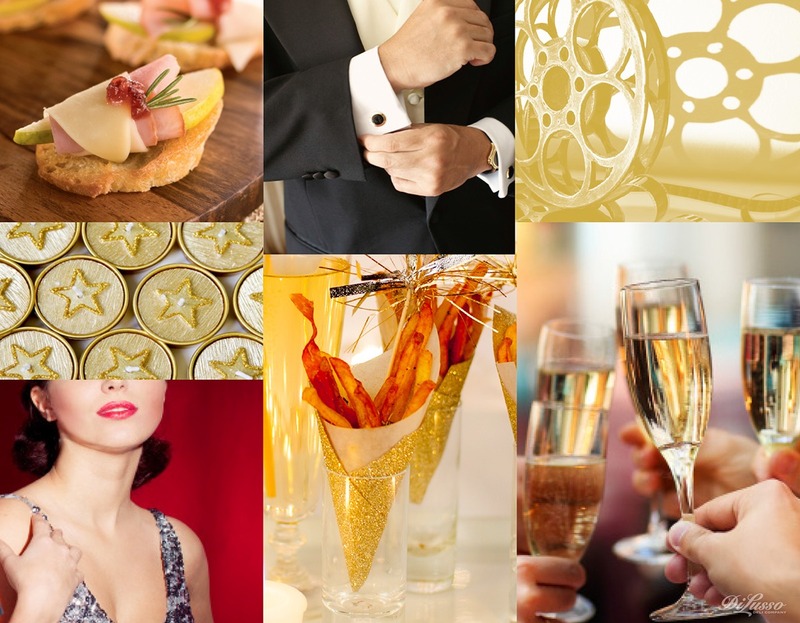 Host a Hollywood Awards Show Party! Invite guests to wear their red-carpet finest. Have your camera ready for paparazzi-style snapshots as they arrive. Provide “secret ballots” and have guests vote for their award winners. Have plenty of popcorn and movie-theater candy available for optimal TV-viewing pleasure. 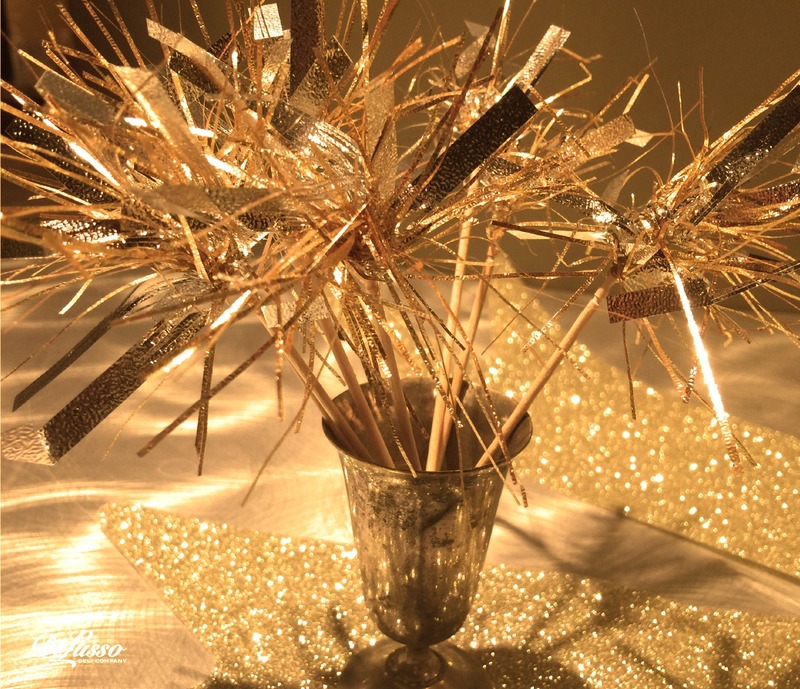 Create some Hollywood glam with gold decorations— balloons, paper napkins, candles, etc. 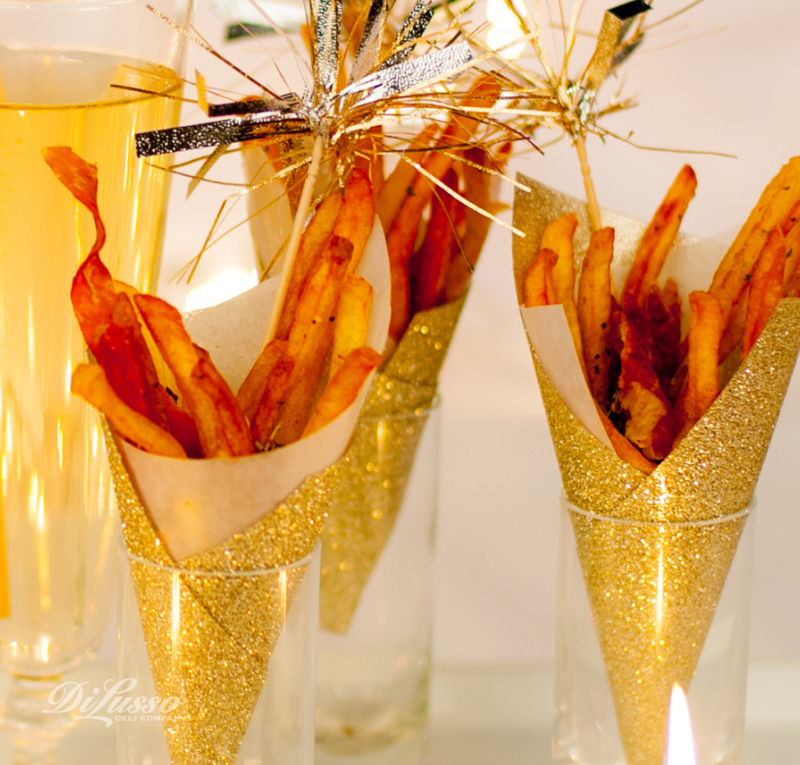 For party favors, give gift bags containing movie tickets, chocolate statuettes and mini bottles of champagne. 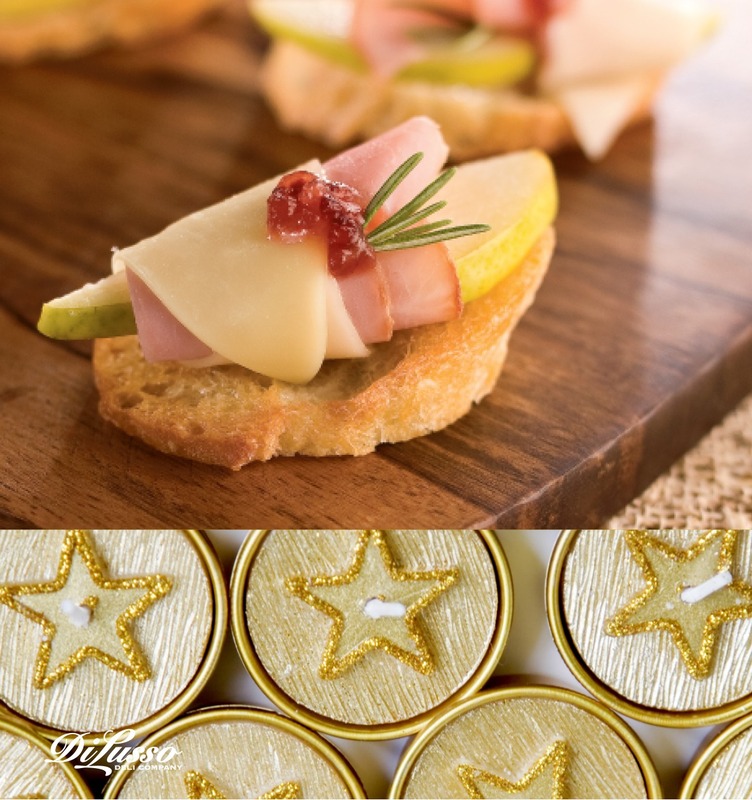 Serve elegant hors d’oeuvres like Pear, Ham and Provolone Crostini, pommes frites with crispy prosciutto and fancy desserts like chocolate-covered strawberries.